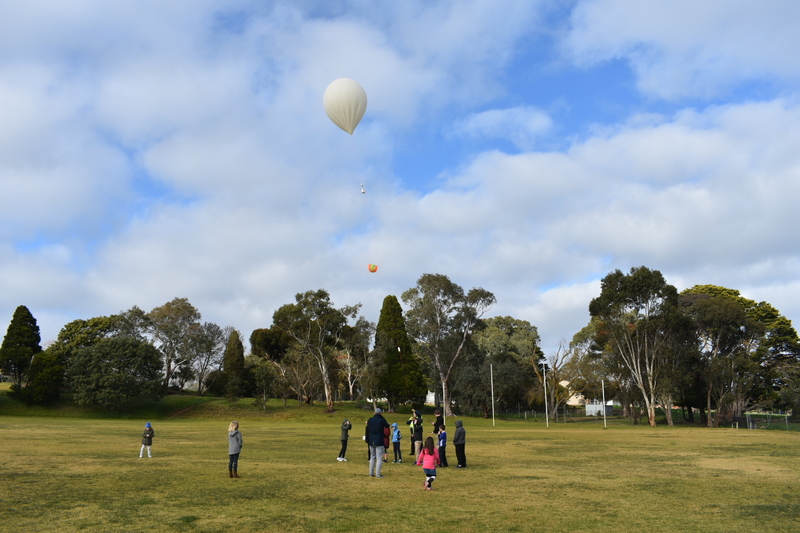 UPDATE: Anstey was successfully launched to a height of 36374 metres, followed by a landing in the Murray Mallee and a recovery by AREG and Riverland Radio Club members. 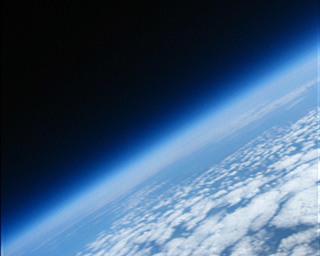 A full write-up of the launch will be posted in the next few days. Anstey at 36km Altitude on Horus 49! 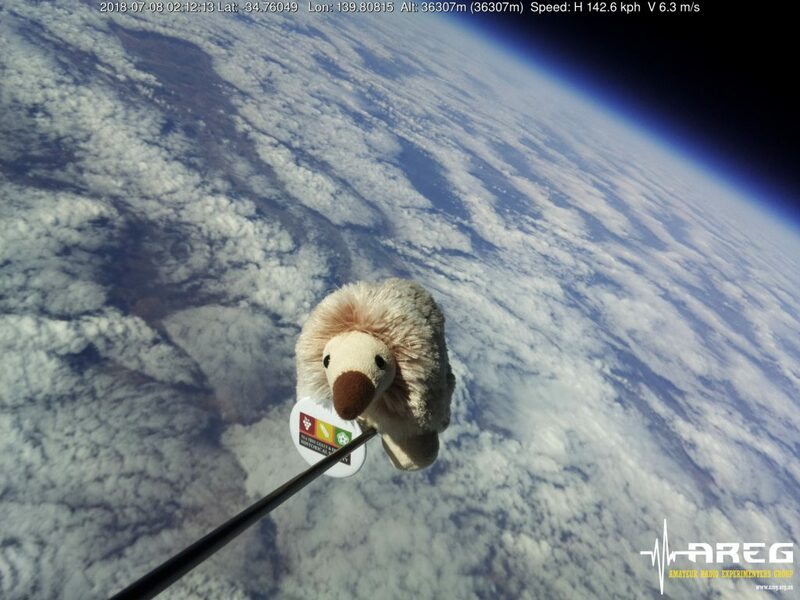 Back in 2016, AREG & Project Horus helped Anstey the Echidna, the Tea Tree Gully Library’s mascot, explore near-space. 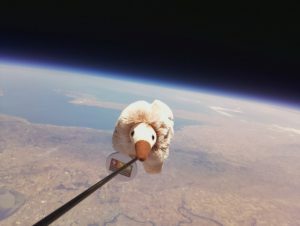 Anstey didn’t have enough fun on the previous launch, and so on the 8th of July 2018, we will be re-launching Anstey back into near-space on a high-altitude balloon launch! The launch is currently scheduled for 10AM CST on Sunday the 8th July, however as usual, weather conditions may cause this to be re-scheduled. 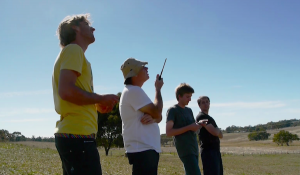 The launch will be from the Mt Barker High School Oval, and spectators are welcome. Launch crew should be on-site from approximately 9AM. Tracking of the flight will be available via the HabHub tracker. 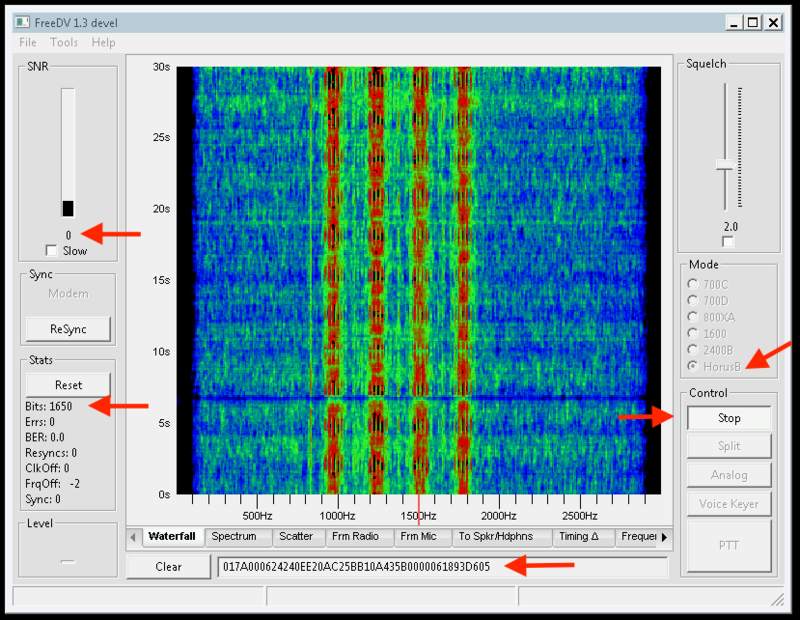 As usual, the RTTY telemetry can be decoded using dl-fldigi. Note: Recent testing of dl-fldigi’s decode performance has found that the auto-configured RTTY receive bandwidth is too narrow, and can detrimentally impact decode performance (by up to 3dB!). To fix this, open dl-fldigi, and in the Configure menu, select Modems, and then go to the ‘RTTY’ tab. Drag the ‘Receive filter bandwidth’ slider to 200, then click ‘Save’. Note that this setting will be reset whenever you hit the ‘Auto-Configure’ button! 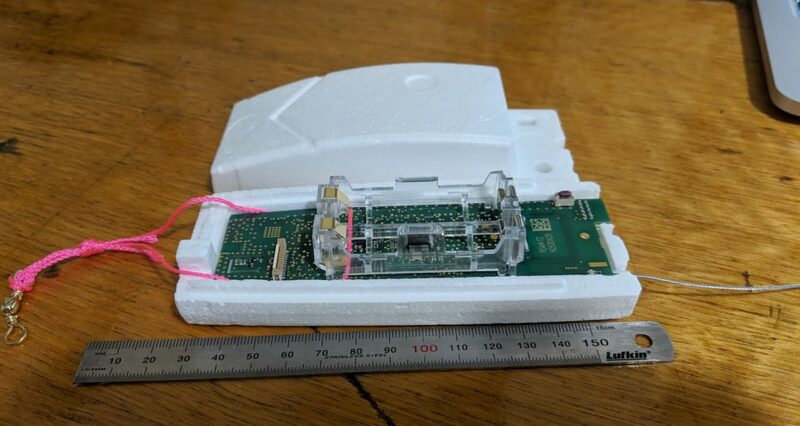 This launch will include the use of a re-purposed Vaisala RS41 radiosonde, programmed to transmit a new binary 4FSK telemetry mode, developed by David VK5DGR and Mark VK5QI. This new mode is intended to eventually (read: probably a year away) replace RTTY telemetry on Horus flights. It runs at 100 baud, is approximately 850 Hz in bandwidth, and has an almost 6dB performance improvement over the current RTTY telemetry! 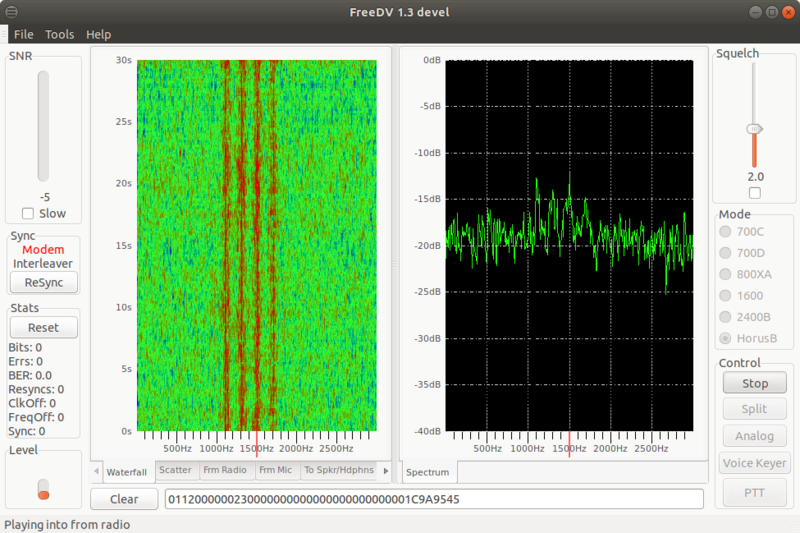 Decoding this telemetry requires installation of a new decoder application (an updated version of FreeDV), and some helper scripts to upload the data to the online tracker. A guide on how to install and operate this new decoder is available here. More information will be available closer to the flight! 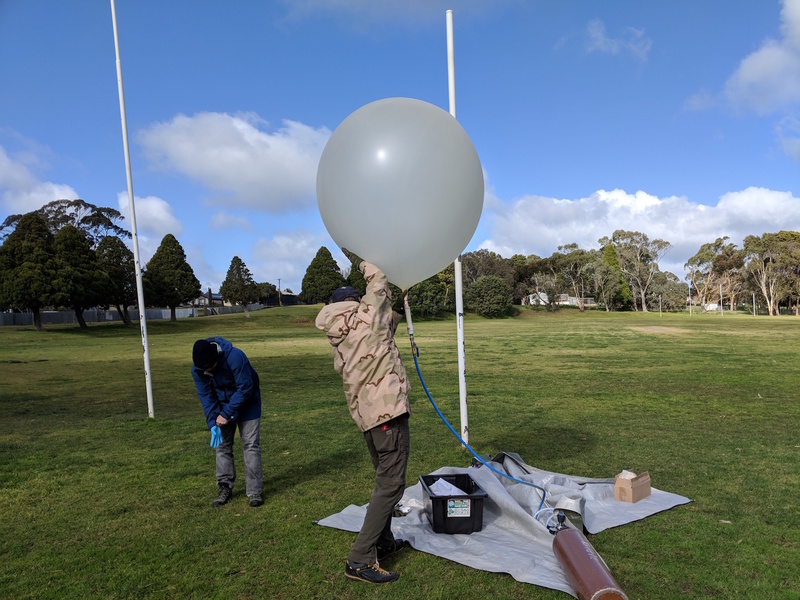 On the weekend of the 10-12th of March (exact day TBD), Project Horus will be performing a small (not-so-)high-altitude balloon launch from Mt Barker. 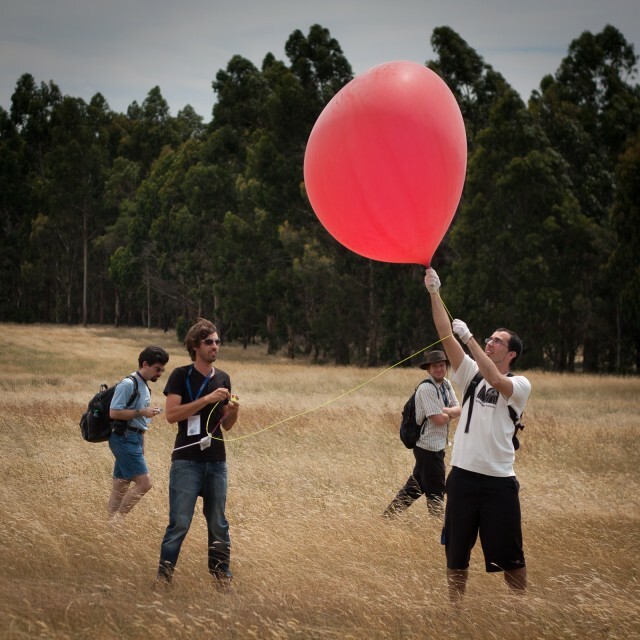 The flight will be a short one (~1.5 hrs), with a maximum expected altitude of only 13km. 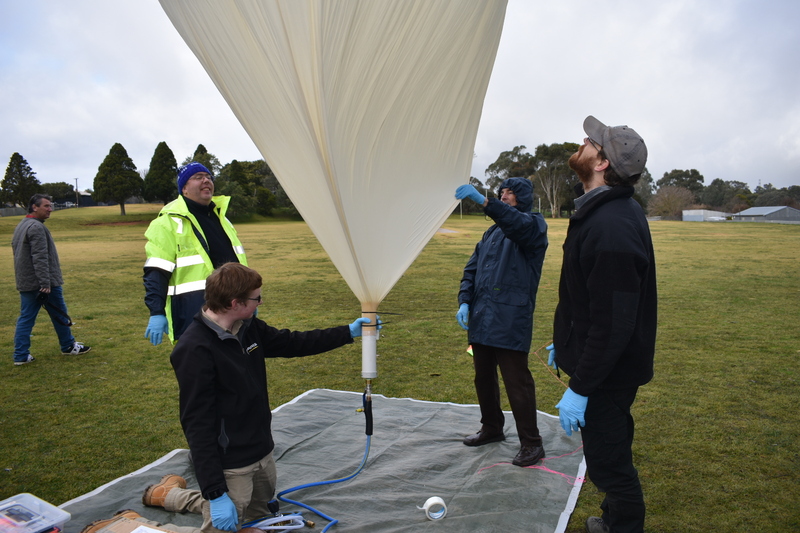 All the payloads have been custom-built to be very lightweight – the total payload mass for this launch is < 300 grams! The aim of this flight is to evaluate the performance of a new telemetry payload, which uses ‘THOR16‘ modulation. 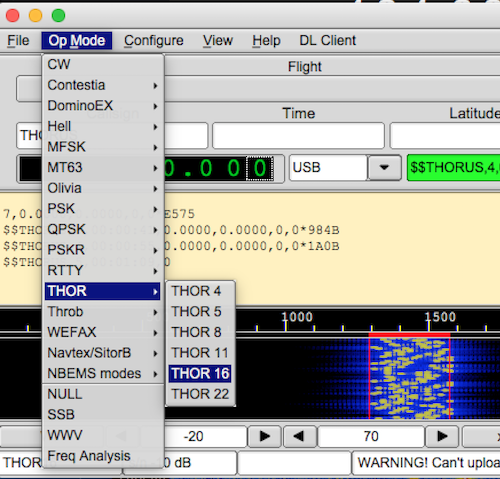 While about half the speed of the current RTTY payload, the THOR modes utilise forward error correction and interleaving. This promises to reduce or remove issues with mobile flutter and multi-path fading that we encounter with RTTY. In short, while we may not be getting telemetry sentences quite as often, we will have a much higher chance of the telemetry that is received being useful to us! 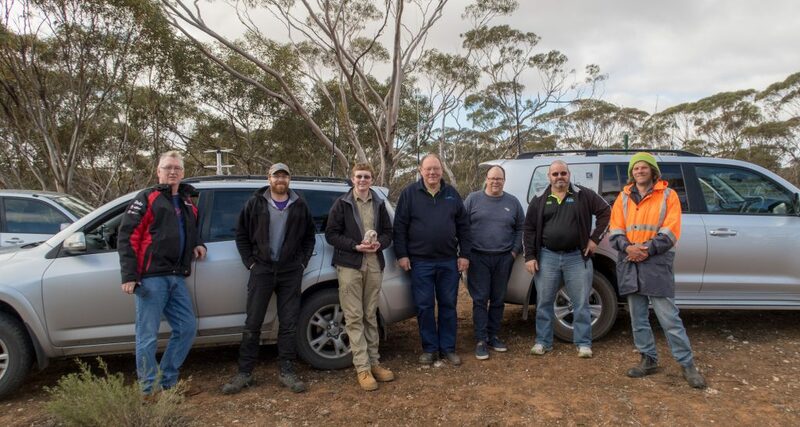 To help stations adapt to the new THOR16 signal, this coming Sunday (a week prior to the launch) there will be the opportunity for stations in the Adelaide metropolitan area to set up dl-fldigi as per the linked guide below and have a go receiving a higher-power version of the THOR16 signal. 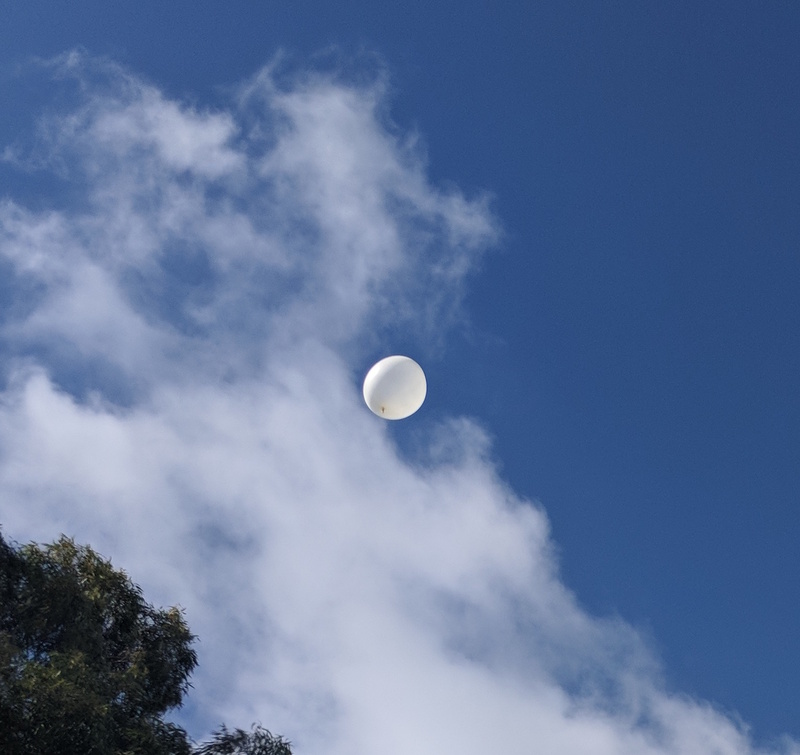 This will be broadcast from Mt Lofty Summit by Mark VK5QI. Mark will be on the VK5RSB 70cm repeater (439.900 -5MHz / 91.5Hz CTCSS) as ‘technical support’, to help assist setting up the software. 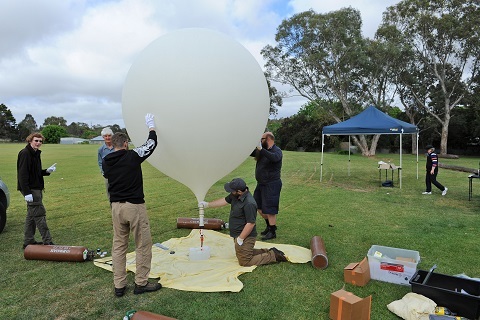 The signal should be easily receivable from the Adelaide Metro area and some surrounds. Both payloads are running 10mW transmit power, and have essentially identical antennas. If you have the capability of running two 70cm receivers, please consider running two instances of dl-fldigi to decode both payloads. This may require either multiple PCs, or multiple sound cards. 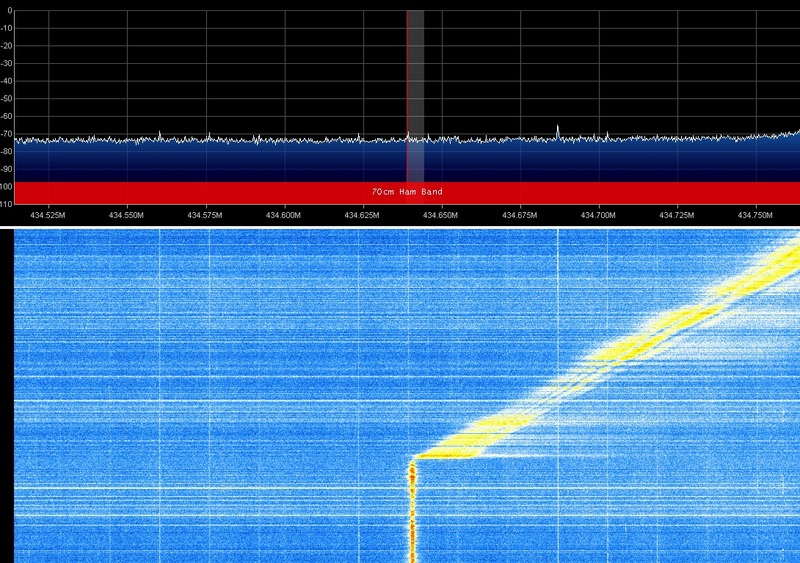 If you can only run a single receiver, please try and alternate between the different telemetry payloads. Tracking for the launch will be available on the HabHub online tracker. We hope to see you as part of the tracking nets!